There is currently a consultation regarding a possible variation for the Lydiard Park PSPO regarding dog control. For full details and information on how to take part, please view the Consultation webpage. On 9th November 2015 a PSPO was agreed for Swindon Town Centre to combat anti-social behaviour, to find out more please see Swindon Town Centre PSPO. 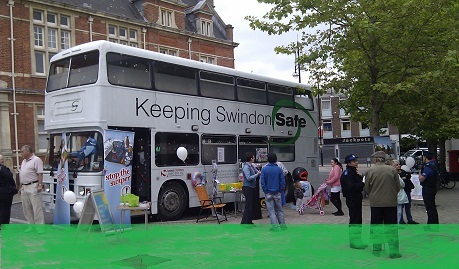 Swindon Community Safety Partnership is working to create a safer world for those who live, work and play in the Borough of Swindon. The partners work together to beat crime and the fear of crime, to reduce anti-social behaviour and substance abuse – in short… to improve quality of life. The Partnership launches practical initiatives and supports national and international campaigns. It uses legal tools, including Anti Social Behaviour Orders (ASBOs), to make our neighbourhoods better places to live. The Partnership backs schemes to support victims of domestic violence and organises Neighbourhood Safety Teams (NeSTs), allowing residents to identify community safety concerns in their areas and work with the Partnership to find solutions to improve quality of life. If you’re worried about someone knowing you have visited this website and have looked at pages within it, please see the Cover Your Tracks section on the Domestic Violence page.